James Reiss is an Institutional Equity Salesman with Johnson Rice and Co. and a native of New Orleans. Prior to entering the Energy Investment banking business in 2005, James spent 10 years on active duty in the US Marine Corps as an AH-1W Supercobra pilot. In 2000 he participated in humanitarian operations in East Timor and was a first responder following the bombing of the USS Cole in Yemen. Later in 2004, James deployed to Afghanistan in support of Operation Enduring Freedom. His military decorations include the Distinguished Flying Cross with Combat “V” device. 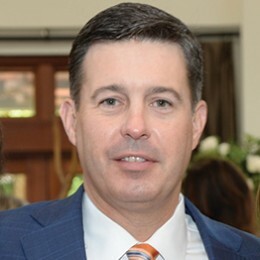 He is involved with several charitable organizations including the New Orleans VFW, and has served on the boards of the New Orleans Police and Justice Foundation, Lighthouse Louisiana, and the New Orleans Military and Maritime Academy.